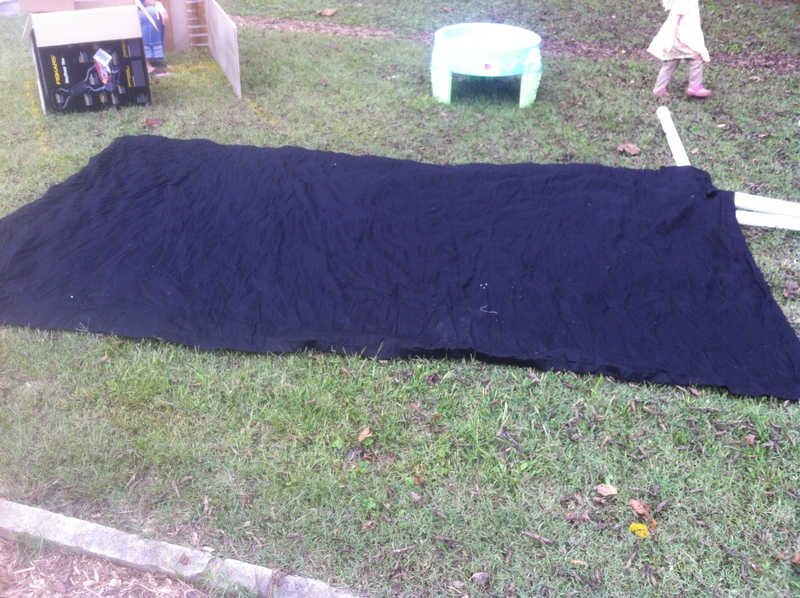 Hi Jesse, my name is Audrey and I am trying to build a puppet stage for my ministry. 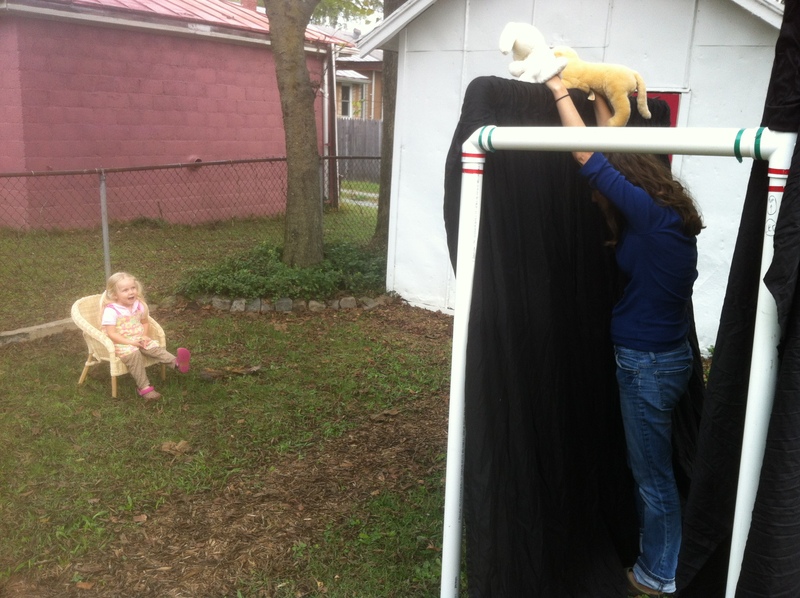 I tried once building a stage from PVC piping but the problem I had was that it kept falling down and apart. My question to you is how do you keep them from happening with the one you build? Audrey, thanks for asking. 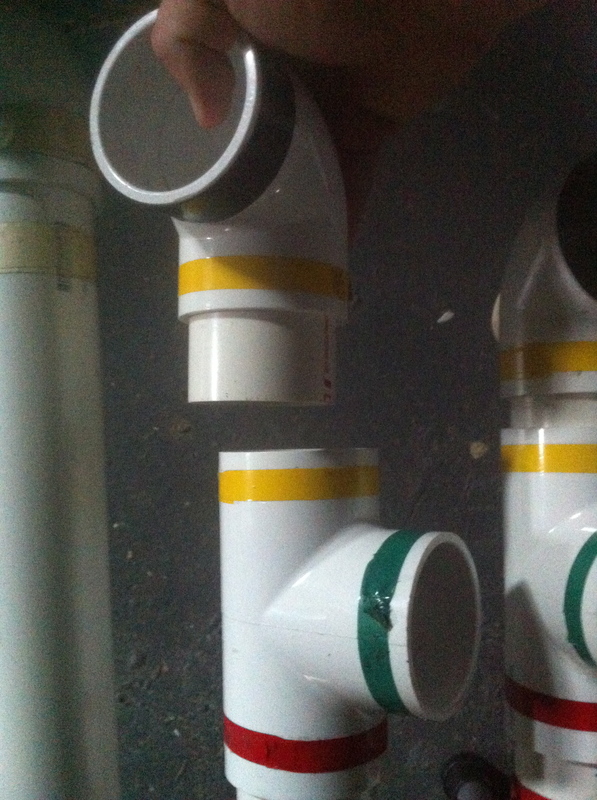 I use large pipes (2″ pipes) and when I connect them, I really shove them together into the couplings with all my might. 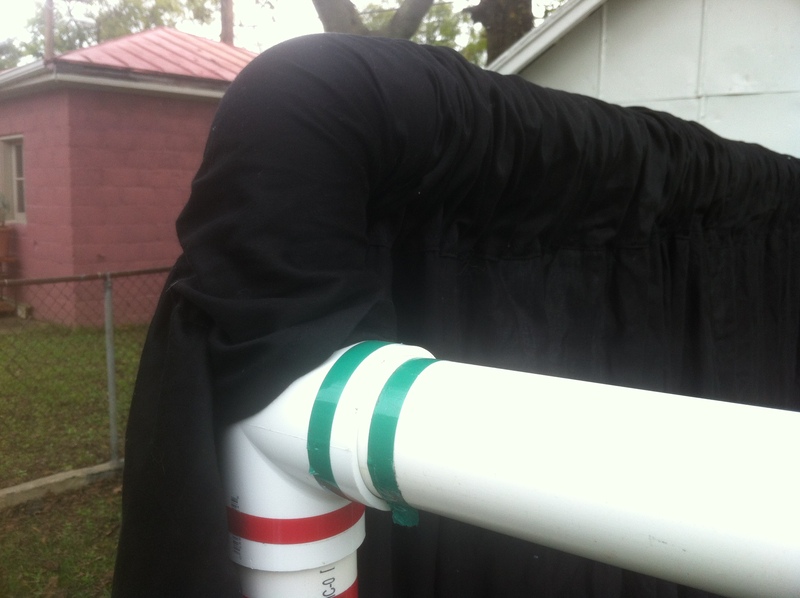 Also make sure you use couplings and fittings that are deep. Some couplings are shallow, so the pipes only go a short distance into the fitting. It will fall apart if that’s the case. Make sure they are deep (compare the different types at the hardware store. 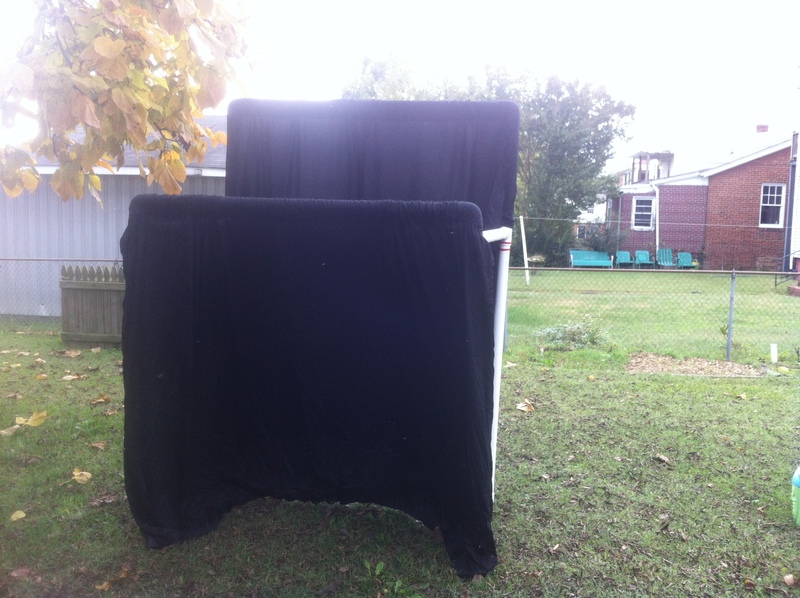 I need to construct a puppet stage for three adult men (average weight and height) to use at one time. I like the look of your stage. Would it fit three men, or do I need to make it bigger? Hi, my name is Allison Kim and I’m doing a Romeo and Juliet puppet show for my class project. 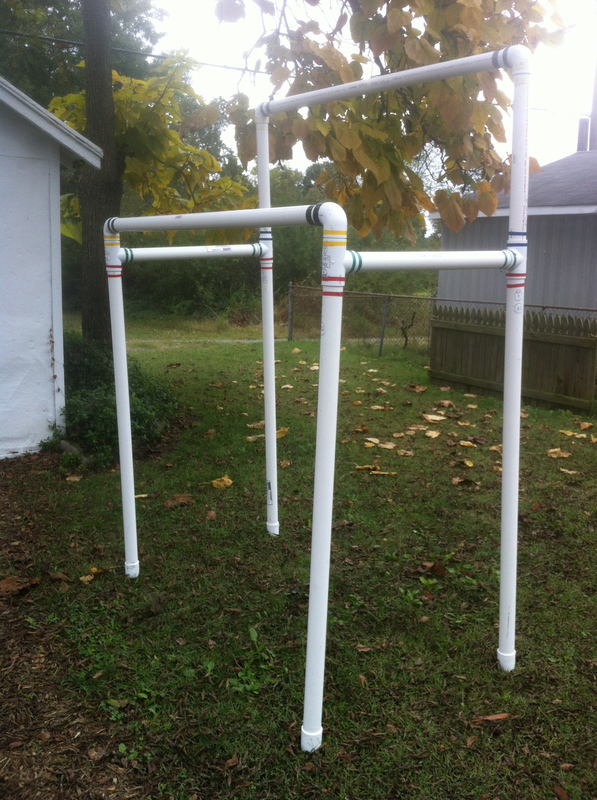 What brands do you use for the PVC pipes? Hi, Allison. I use the stock pipes found at Lowes or Home Depot. I’m not near the pipes right now, so I don’t know the exact brand. But any line of white pipes in the sizes I mentioned should work fine. Hello! We are planning to do a puppet show for a religious/spiritual function. 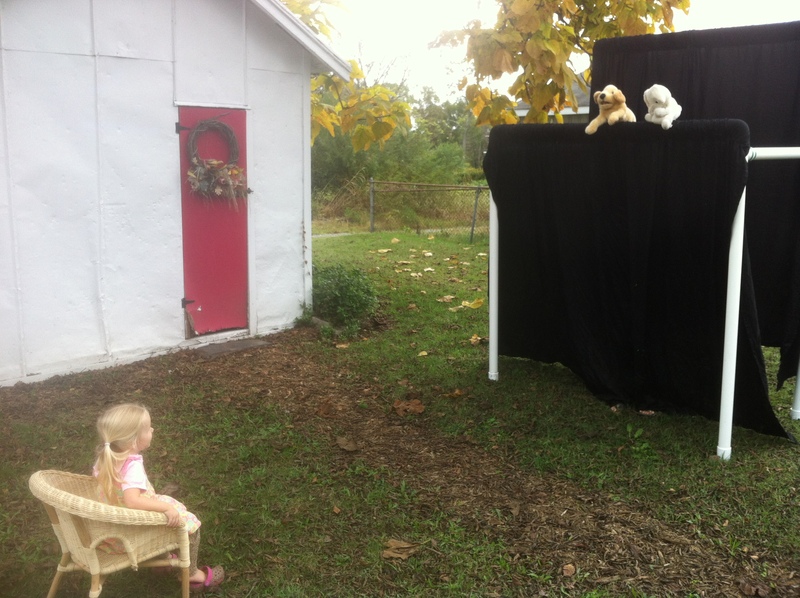 I am a part of the decorations committee, and the task for making the puppet show stage has fallen to me…. 9 feet long, 6 feet high, and 4-5 feet deep. 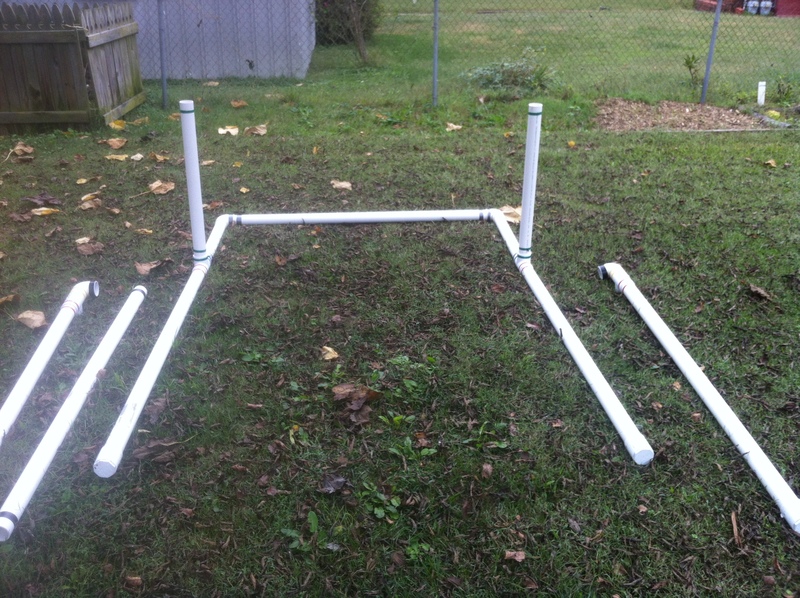 The little kids will be practicing and putting on the show for everyone else, so there needs to be about a 2 foot riser as well. I am wondering if I simply tweak your design, do you feel that the 2″ PVCs will hold that kind of increase of the sizes? Hi Shailee. Thanks for checking out the plans. That is quite a bit wider than mine, so I can’t say for sure since I’m not an engineer. The problem with going to a bigger PVC is that it increases the weight of all the pipes, which could make the stage wobble and maybe tip over if bumped the right way (at that size). 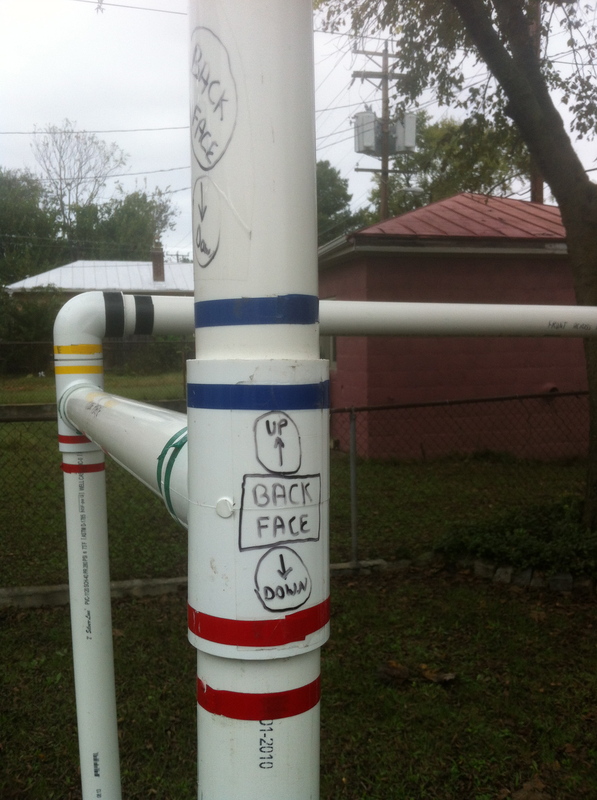 I think you could stick with 2″ pipes, but reinforce the 9 ft width by adding a “T” support in the middle of the front piece and back piece. That means getting two more “T” pieces plus two more long pipes that go the entire height of your stage. 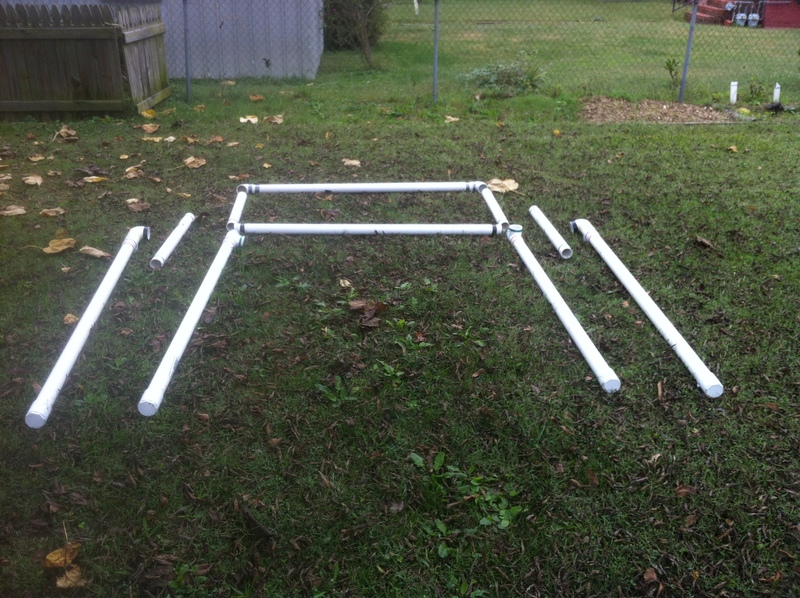 Put those support beams in the middle of your horizontal front and back pieces using the “T”. You’ll have to cut those 9 ft horizontal pieces in half so you can add that “T” in there. I hope that makes sense! Let me know if you have any more questions. Thanks for reading my plans. just sharing…i am going to make a puppet theater out of a metal, wheeled “garment rack with top and bottom shelves” that is 72″ high and 35”wide; the shelves are moveable so will move bottom rack up to be the stage; will sew material together to go over the rack, have opening for the stage with a back drop material behind stage area. i had done this previously using a 2-pole wheeled garment rack that had no shelves. 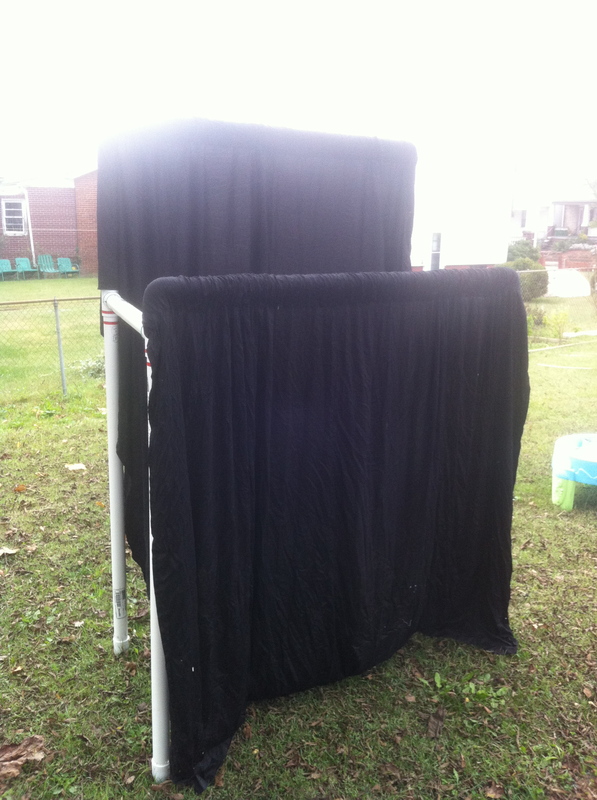 the structure was not sturdy and had to have a make-shift stage placing a board in to be our stage. eventually, after all the wiggliness etc the plastic around the wheels cracked and it was a tangled mess. i would like it be as wide as yours, but think i will have to make do with our idea and can wheel into the pastors office after play. with the other rack, i could lower the poles down and place over to side of our piano for it to be out of the way for rest of church service. The one that I made did wobble a little bit, but not so much that I feared it would collapse or fall down. 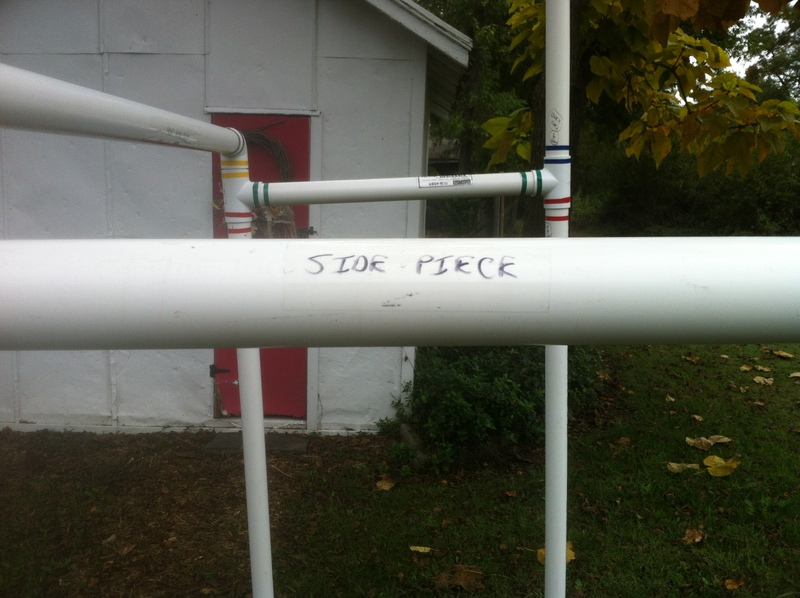 I’m assuming you used the right size pipes that I suggested. Any smaller would make it more shaky. Also, all the couplings and connection points – those are the most important in terms of stability. Really make sure all those fittings are tightly inserted into one another. You may need a hammer or mallet for some of them. Then when you break it down, get a friend to hold one pipe while you hold the other and twist it out. If your stage is semi-permanent (as in, you’re not going to set it up and break it down very often), then you can find some metal or plastic straps (that plumbers or HVAC people use) and strap the back of the puppet stage to a wall. I hope that helps! Let me know if you have any more specific details or any more questions. 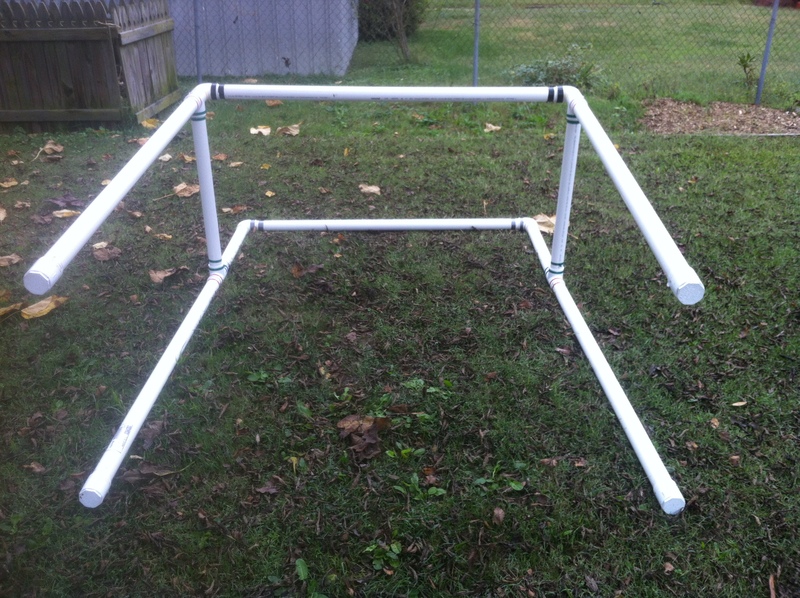 You can also assemble the whole thing then drill holes through the joints and insert bolts with washers and wing nuts…. 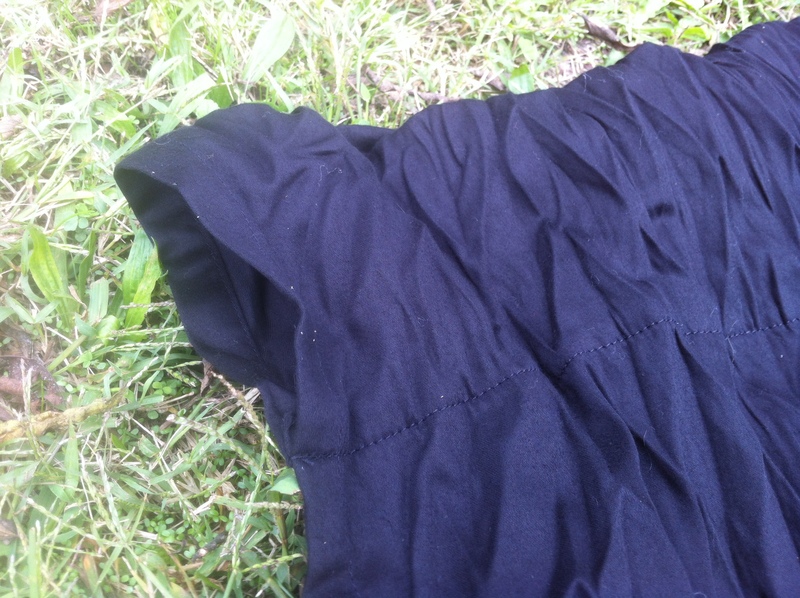 they tighten nicely by hand, and firm things up… It increases the set up time but is well worth it for peace of mind… One other thing you can do is this. You can get tee’s that have a 45* angle and place them on the main up rights about a foot off the floor facing the sides, then get PVC long enough to reach the floor from the 45* angles. Camp the ends and stuff them in the 45* angles. 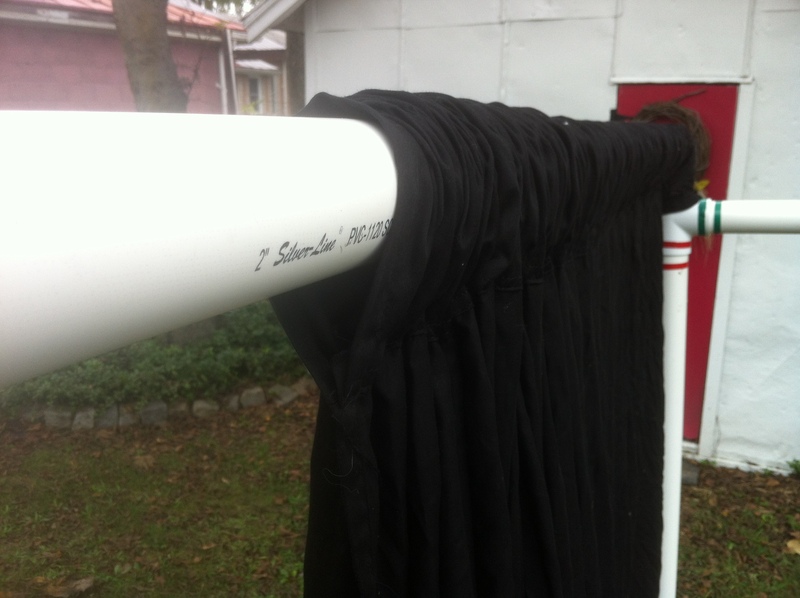 You now have down riggers to keep the whole thing from swaying side to side… Hope this helped and God Bless! This structure needs shears to maintain its shape–that is, triangles: diagonals bracing each side. The 45 degree T’s mentioned in a comment above should work to hold additional diagonal pieces: 8 T’s, then, and 4 diagonals between them. Otherwise, wobbling is absolutely inevitable, even if the joints are rammed tight, because the whole, being just a bunch of parallelograms, can deform into any angle! Thanks for the input, Eliot. You are right that triangles would definitely strengthen the structure. I will say that it stands firm as is when left alone and used under normal puppet performance conditions. But if someone were to bump up against it forcefully from any direction, it would deform it more or less depending on the force applied.